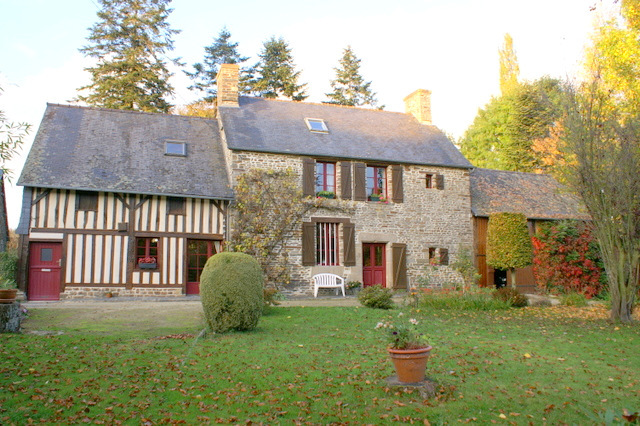 Just 5 minutes to Le Teilleul and shops… this lovely XVIII century remains authentic with some beautiful original features. On 6 600 m² with stream (*possible to acquire 1.24 Ha adjoining in addition). First floor: large landing used as a study (or bedroom) with fireplace, Bedroom, WC and basin. Under the eaves is a large bedroom with wonderful exposed A Frames. Double garage, Lean to. Well. Gas and wood central heating. Wooden double glazing. Town water and also well water. Prix de vente hors frais d'agence : 140000€.